ZIVE MP5, the outstanding multichannel potentiostat/galvanostat/FRA, is the best choice for multiple samples characterization simultaneously or independently with the complete DC and impedance test. ZIVE MP5's each channel is equipped with a frequency response analyzer(FRA) for system as standard and it provides high performance impedance measurements over the frequency range 10uHz to 1MHz. ZRA(zero resistance ammeter) function can measure max 5 A in galvanic corrosion technique. ZIVE MP5 can be easily upgraded with adding optional application software package without returning the system to the factory for upgrade. ZIVE MP5��s each channel comes with additional three analog inputs (auxiliary voltage input) and 1 analog output, whereas 3 digital outputs and 2 digital inputs and one temperature input for K type thermocouple. It will help user expand the usage of instrument. 1. When communication failure between PC and ZIVE MP5 occurs, running channel will continue the experiments and save the data into ZIVE memory up to 295,000 data point set. When the communication is recovered, ZIVE will transfer saved data to PC. User can transfer data set from ZIVE to PC anytime. This function will be highly efficient for long time experiment. 3. If control value of voltage or current is different from measured value, the experiment will be stopped automatically to protect the cell. 4. Automatic calibration function is supplied for user calibration. The system is controlled from a PC via USB or an Ethernet connection(Future function). 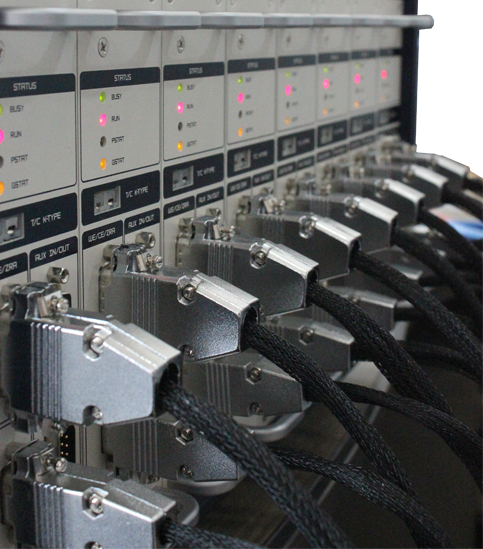 The 8 channel system can be expanded to 16ch, 24ch etc. using USB hurb. 1. The system has its own hardware parameters and calibration data. 2. The channel is plug & play type and easy to install or to be removed (just plug-in or plug out). ZIVE MP5 multichannel electrochemical workstation is ideal for fundamental research in electrochemistry, development and quality assurance of new sensors, corrosion/coatings, electrode material, membrane, conducting polymer, evaluation power device research such as battery materials, fuel cells, super capacitors and solar cells. ZIVE MP5 Multichannel electrochemical workstation use Smart Manager software. You can get more detailed information via above link.